The prototypical project manager needs financial, scheduling and management skills to keep projects on time and on budget. They also must communicate effectively to diverse business and technical teams -- and that's just the beginning. 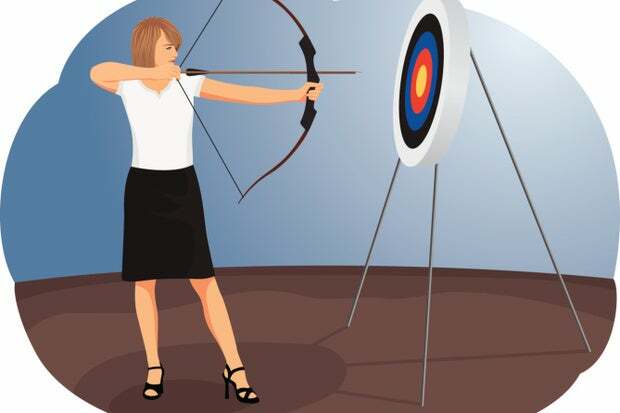 Here's how to target the elusive perfect project manager. CIO David L. Stevens say project managers are critical to his organization’s success, so much so that he shook up the org chart soon after he started in his post. Stevens, who heads IT for Maricopa County, Ariz., consolidated project managers in a new project management office headed by a new PMO director who answers to the new director of strategic planning and business alignment position. He says the set-up demonstrates that project managers must focus on business outcomes. That, in turn, influences the kind of professionals he wants on staff. They need financial, scheduling and management skills to keep projects on time and on budget. They must communicate effectively to diverse business and technical teams and bring together various players “to really deliver something that impacts the business.” And they must be problem-solvers who can keep their eyes on intended goals. “You have to have a systemic view of the project at any given moment to help navigate toward that outcome,” Stevens says. “We looked for the right talent, the right people, because we want to demonstrate to our customers our professionalism, our capabilities and experience to walk them through these often very complicated and expensive initiatives to produce the outcomes they expect,” he says. Project management is one of the most in-demand skills among IT leaders today – coming in at No. 2 among top skills in Computerworld’s 2015 Forecast survey. It was second only to programming/application development. Some 35 percent of the IT leaders who responded to the survey said they plan to hire for the skill in the upcoming year. CIOs and industry observers say a pent-up demand for new technology is a big part of the high demand. After putting a lot of projects on hold during the recent recession, companies have charged ahead with initiatives. That backlog, combined with heavy investments in newer technologies – such as mobile, big data and the Internet of Things – have many companies scrambling to find talented project managers to steer work through the inevitable challenges and roadblocks that exist during planning and implementation. Reed estimates that salaries range from around $75,000 for junior-level program managers up into the six figures for more seasoned professionals. Stevens confirmed the range; his office offered between $80,000 and $120,000 annually when it went to market for project managers. Reed and others expect demand to stay high for the foreseeable future. In fact, the U.S. Bureau of Labor Statistics predicts that the number of jobs for IS managers, including project managers, will grow 15 percent from 2012 to 2022. “Demand for project managers right now is tremendous,” says Felix Fermin, a New York City-based recruiting manager with the IT recruiting firm Mondo. Fermin says some companies are willing to train and eventually promote internal candidates who show promise in this field. However, companies that go to market to hire project managers almost always want candidates who already have worked as project managers. “They want someone who has brought in a project on budget or on time. That speaks volumes,” he says, adding that they also put a premium on candidates who balance a technical background with business experience. Susan Engle, vice president of the project management office at Avnet, a global technology distributor, says she hires experienced project managers as well as professionals from other disciplines who aspire to work as full-time project managers. She also brings in college students as interns, who may move up to associates in Avnet’s project management office. Engle puts a premium on particular traits – the willingness to work hard and soft skills such as collaboration and leadership capabilities – more so than business and technical acumen. She says she’s particularly interest in professionals who can communicate with a broad range of people, as project managers have to work with different divisions within the organization and meet with and present to individuals throughout the hierarchy, from junior staffers to C-suite leaders. She likes to see flexibility in her project managers, too. “Project managers have to have a level of adaptability because we put them in so many different organizations. They have to adapt to the group they’re supporting,” she says. She also wants project managers who understand how the business works and want to learn more. She expects her senior project managers to hold the PMP credential; she doesn’t require it for junior staff but helps them get it. Valdosta State University CIO Brian A. Haugabrook has a similar take. He says many seek project managers with all the process management skills but fail to consider how important soft skills, particularly the ability to communicate, are to success in the role. He says he needs someone who can build relationships. To find people with those capabilities, he has looked for people with experiences working around public relations or in customer service.